Hazuki is secretly in love with his florist boss, but his chances of a successful romance seem slim when he not only has to overcome shyness, but also the possessive ghost of her dead husband! 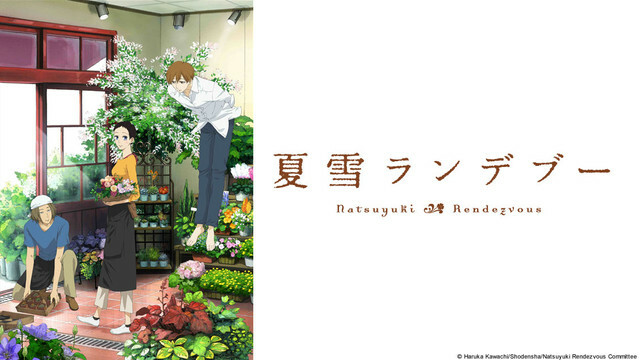 Ryosuke works part-time as a florist where he begins to fall for the owner, Rokka. Eight years ago, Rokka decided to give up on love but one day, due to circumstances, Ryosuke ends up in Rokka's apartment where he runs into a half-naked man. Having mixed emotions, he realizes that this man is her late husband's ghost. However, Rokka is unable to see him. Will Ryosuke be able to pursue his love despite the presence of her late husband?